Addresses the needs of its target audience in a way that drives them to click on it. Reflects the keyword that’s being bid on. Takes the customer to an appropriate landing page that directly relates to the ad. Is part of a tightly knit ad group of related keywords. You have to write ads to an entire group, so the most important thing is to intelligently group and understand your keyword taxonomy, while keeping the components above in mind. Here you will learn how WordStream helps you to identify which keywords to create ads for and how to write effective ad text to boost your PPC click-through rate with its robust suite of keyword management and “actalytics”-based PPC management tools. By grouping your keywords, you target qualified traffic with less time and effort than you would if you had to build an ad around each long-tail keyword on your list. Having a hierarchical structure to your keyword taxonomy helps you to continue to organize your keywords and create more focused, granular groups for your PPC ad campaign. If you don’t have your content arranged in a taxonomy, it’s a guessing game regarding where and when your time and money are best spent. Why devote effort to creating and optimizing pay-per-click ads around a less effective, more expensive term, when there are cheaper and more effective terms that should be used first? Maintaining a keyword taxonomy ensures that you're using only the most relevant, effective keyword groups in your pay-per-click campaigns. A traditional PPC management tool doesn’t provide you with essential functionalities like workflow prioritization, or making your data actionable. 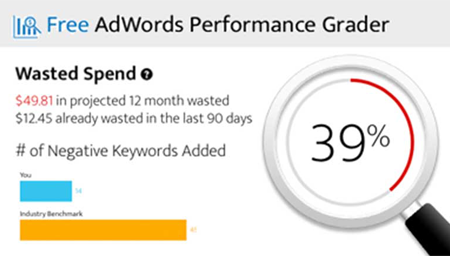 Analytics and reporting are helpful, but only if you know how to act on the data with your pay-per-click ads, and WordStream helps you to turn your data into intelligent analysis, and that intelligent analysis into action. WordStream helps you through each step required to create a successful text ad, from keyword grouping to actually writing ad text. Don’t overlook the importance of the actual ad text for your pay-per-click ads. After discovering qualified keywords, organizing your data, and figuring out how much to bid, it can be tempting to rush through this last step because you want to get your ads published and see how they do. Be clear about what you’re offering so readers will know why they should click on your ad. Make sure your landing page corresponds to what your pay-per-click ad is displaying. Be upfront about benefits or problems you can solve if someone clicks on your ad. Be sure to either use the specific query in your ad text, or use dynamic keyword insertion, which inserts the user’s search query into the ad text for you. WordStream PPC software makes pay-per-click ad text creation even easier for you by offering relevant text suggestions as you’re setting up your ads. Once you’ve created an ad group and established your bid, you simply click “Text Ads” and you’re brought to a screen that fills in some of the details for you. You’ll likely want to customize these, but it gives you a head start by offering high-traffic keyword phrases that will improve your CTR, while reminding you of character limits and other formatting for easy reference.